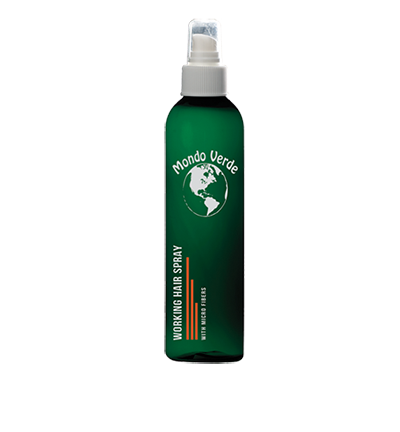 New Scientific Technology – 02 Stabilized Cream Hydrogen Peroxide with Rebuilders. The base of these peroxides is a proprietary formula that actually rebuilds the hair as it processes. They are also imbedded with trillions of tiny bubbles of oxygen to speed and even the oxidation and reduce damage to the hair. 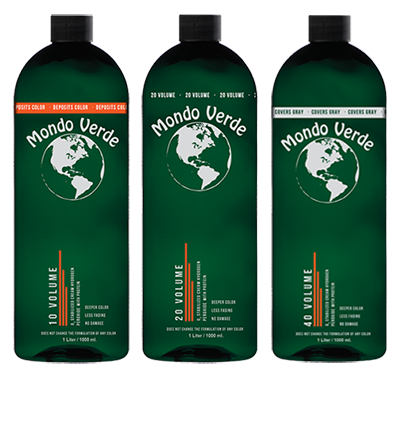 Each of the 3 volumes has its own unique filler which allows the color to take deeper and stronger with no fading. The wonderful fragrance lasts throughout the process. Due to the thickness of the Peroxide, take care to remove all of the product from the measuring container when mixing. 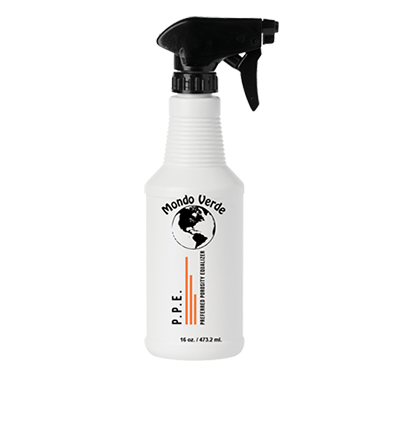 When using our peroxides you should first apply P.P.E. (see P.P.E. instructions in this booklet) to equal the porosity of the hair, dry the hair, and proceed following manufacturer’s instructions. 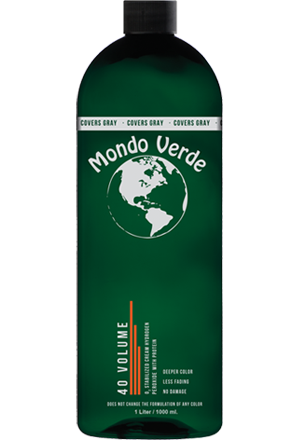 After color has processed use the Mondo Verde Back Bar system to experience what beautiful color can be. This is absolutely great for stains, temporary colors and fillers. If you use our 10 Volume to deposit color, the deposit is much, much greater than anything you have ever used before because of the color fillers in the formula. 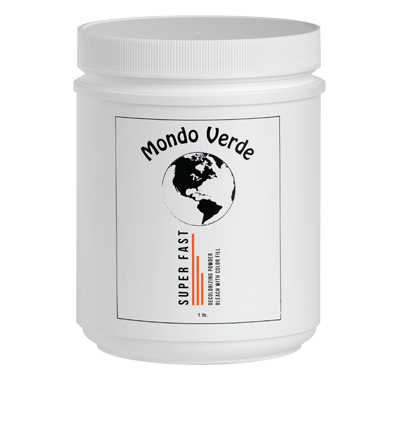 For best results first prepare the hair with Mondo Verde P.P.E. 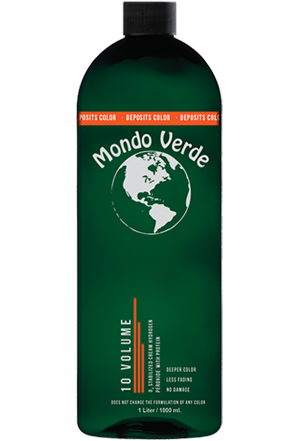 and, after the color has processed, use the Mondo Verde Back Bar System. This can be used with any color to do all the work that any 20 volume will do but better with minimal damage. Because of our “color fill” you will experience deeper color with less fading. 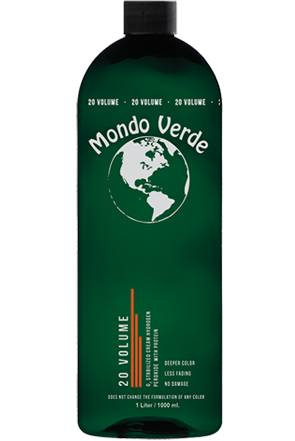 Mondo Verde 20 Volume Cream Hydrogen Peroxide nurtures the hair as it deposits color. 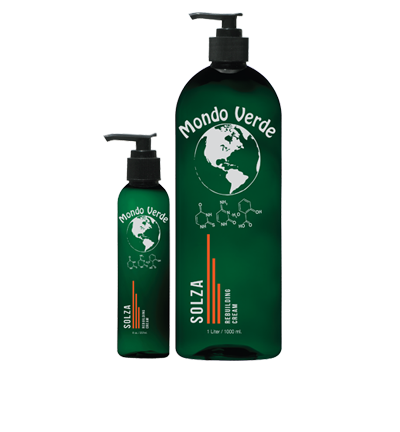 Because of its proprietary formula it actually conditions the hair as it processes, giving you perfect colors with very little damage. 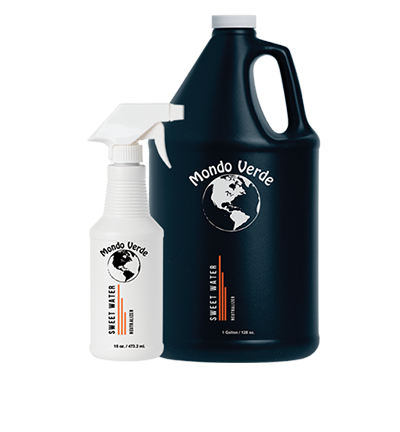 Our 40 volume Hydrogen Peroxide contains fillers which are missing in ALL other peroxides. 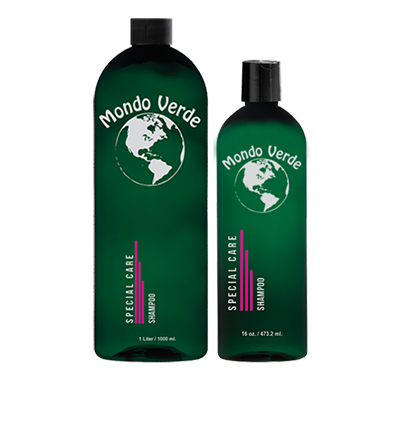 This allows your color to take deeper and more even and be longer lasting. With our 40 Volume you don’t have to pre-soften because of its strength which allows the color to easily penetrate the cuticle and deposit the color in the cortex. You don’t have to worry about coverage, and you don’t have to worry about damage. We’ve invented a better way to color hair. This can be used with any color.